Fully in the dimensions of the manufacturer. Preview made in Corona render 1.7.4. Scene in system units mm. V-ray materials may differ slightly from the model in corona render. Includes formats: Max V-ray 2011, 2014, 2016, Corona max 2012, 2014, 2016, Obj, 3ds. 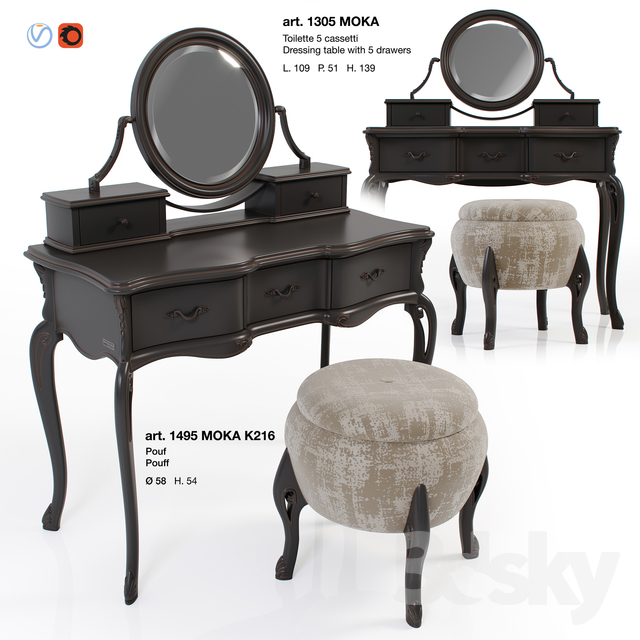 File max 2011, compatible with vray 2.40.03. In Obj, 3ds, you need to reassign materials. Still a bed and cabinets from this collection! I'll do it a bit later.